ISO 13485 specifies requirements for a quality management system where an organization needs to demonstrate its ability to provide medical devices and related services that consistently meet customer requirements and regulatory requirements applicable to medical devices and services. 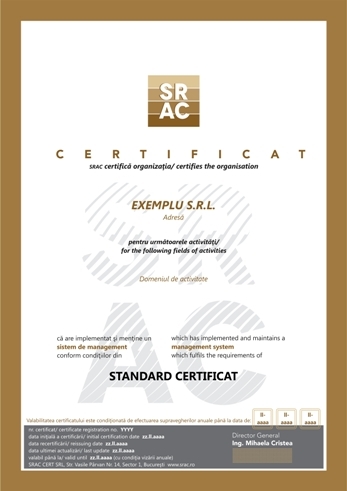 are regularly informed on the evolutions in the quality for medical devices and certification areas, by accessing SRAC website, events organized by SRAC. obtain, maintain and improve on a continuous basis its general performances and capabilities;and the strong commitment to achieve the quality is the key.